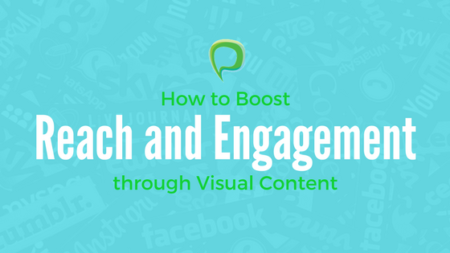 In 2013 we were hired to produce a number of “mini-sites” — that is, sites that consist of no more then four of five pages, designed to drive a single message or promote a particular product. Here are two of our favorites. 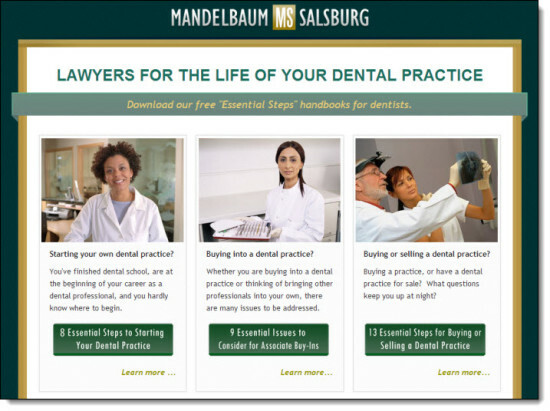 In the case of our dental business lawyers, the purpose of the site was to collect leads by offering free “Essential Steps” handbooks and capturing contact information at the point of download. Each of the three PDFs targeted dentists at different stages of their career or practice development: the new dentist, the dentist seeking to buy into a practice (or seeking to bring an associate into a practice) and the dentist seeking to buy or sell their dental practice. Collected contacts were used to seed an email list, already segmented depending upon the selected download. Future marketing messages could then specially targeted to a particular group of dentists, depending upon their specific legal/business needs. 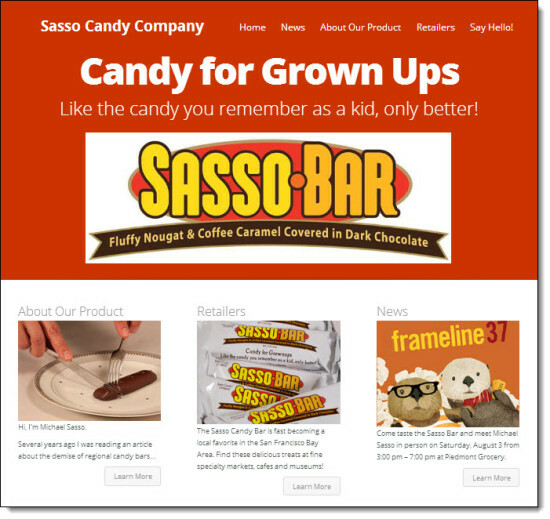 Our client needed a web presence to announce and promote a new candy bar. We built a simple, four page minisite to provide consumers with updates about availability in their area– and to give retailers who might potentially be interested in carrying the product a way to order wholesale. Minisites can be effective for many different kinds of business. They can be used to build opt-in email lists for marketing purposes (as in the niche law practice example above) or for fun things like promos or contests.